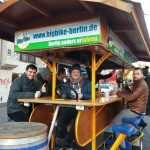 Biking is a really great physical activity, beneficial for your body, as well as for your soul. 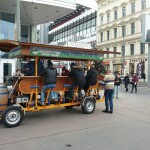 Touring a city on bike is much faster, easier and much more pleasant than walking. 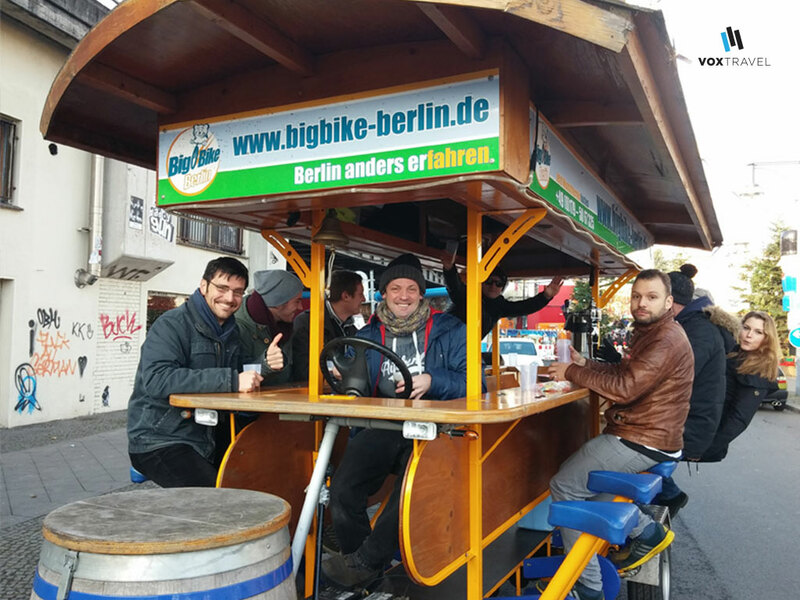 Perhaps the only disadvantage of biking is the fact that you can‘t really enjoy a good beer while doing so… Or you couldn‘t, until now! 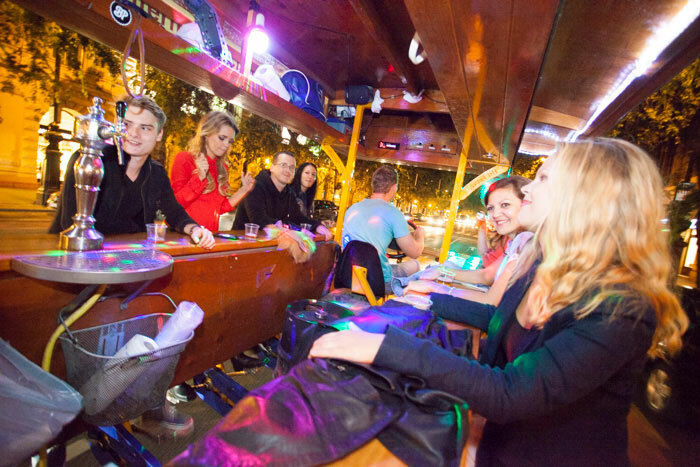 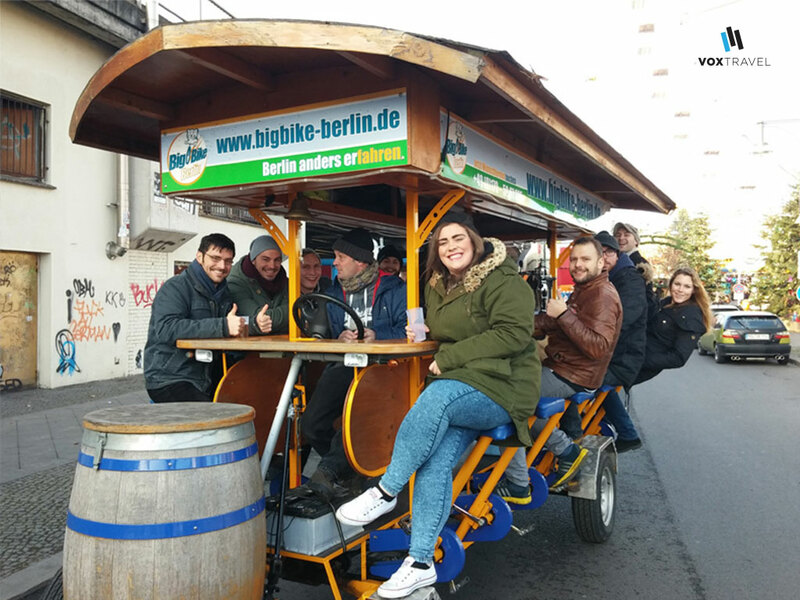 Thanks to a very special beer bike, which is basically a pub on wheels, propelled by its passengers, you can bike, tour the city and enjoy great beer with friends at once! 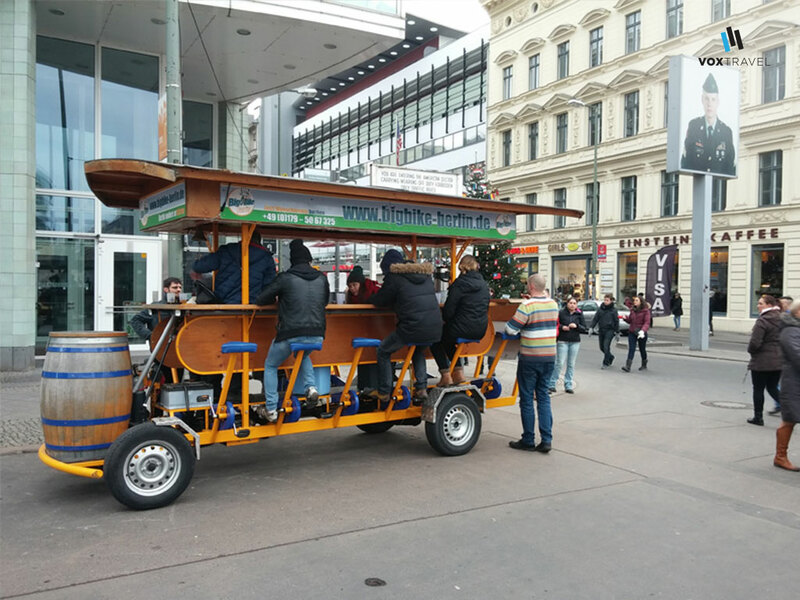 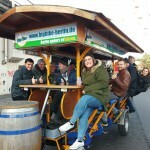 This specific beer bike tour takes two hours and challenges its participants by amazing 20 litres of beer per group to drink!